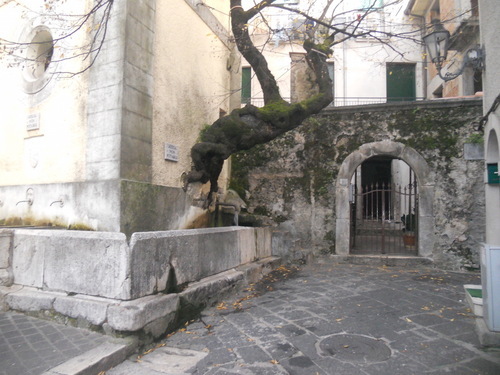 According to local tradition and thanks to the valuable information of the Cultural Circle Leonardo Di Capua as well as the "Pro Loco" of the village, it is possible to identify the house in which Leonardo Di Capua was born, the house is located in "Via Carpine" in Bagnoli irpino where is even possible to see some ruins of the original building. Many buildings were, in fact, lost in the disastrous earthquake in 1980 that hit the whole Irpinia. 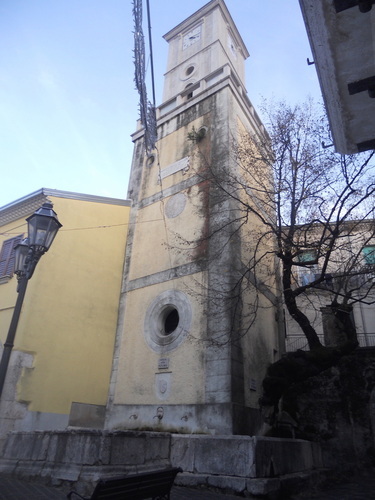 The bell tower near Leonardo Di Capua's birthplace. 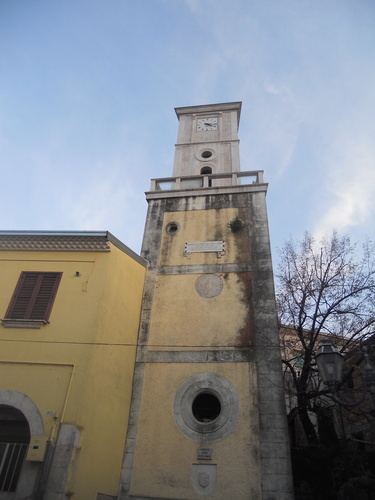 Facade of Leonardo Di Capua's birthplace. 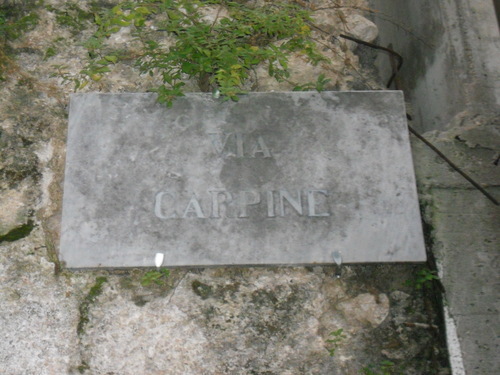 The name of the street where was Leonardo Di Capua's birthplace. Photos, main text and page layout by Gennaro Giovine moc.liamg|enivoigoranneg#| and Mattia Iuliano moc.liamg|ittamiliba#| (January 2016), courtesy of "Circolo Culturale Leonardo Di Capua" and "Proloco Bagnoli-Laceno". Fulvio Sellitto, Andrea Massaro, Sandro Strumia, Roberto Ziccardi. Medicina e sanità in Irpinia, IGF Publishing Editore, Napoli 2014. ISBN 978-88-95308-08-1. (pp. 52-54). M. Torrini, Uno scritto di Leonardo Di Capua in difesa dell’arte chimica, «Bollettino del Centro di Studi Vichiani», 1974, IV. (pp. 126-139). 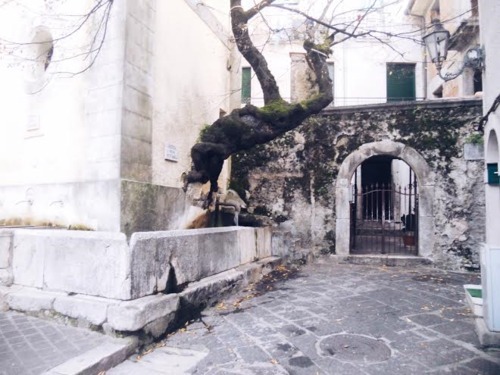 Associazione Culturale "Palazzo Tenta 39"
Circolo culturale "Leonardo di Capua"